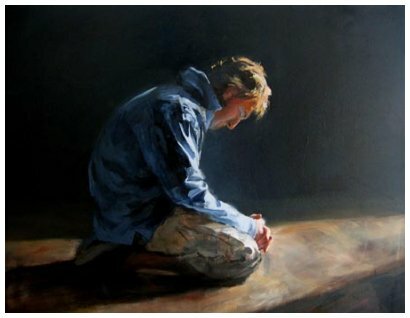 All of us have at one time or another found ourselves with a contrite heart and spirit; remorseful, down and out, feelings of loss, shame and no identity in who we are or what we should do. It is in these dark times of the valley, that we lose connectedness from the Father- we can’t here or discern His voice, nor move within our giftedness or offer our strength as we could before. To use Jesus’ example- we as the branch feel absolutely broken off from the vine that gives us our food and life. All seems lost. Death seems certain. The Father seems distant and not concerned about this bad place I am in. The assault of the evil one is on a full speed offensive to have us question the heart of God. To question his Goodness. To doubt his intentions for us as sons and daughters of the King. Just as the enemy did with Eve in the garden- question the Father’s goodness and integrity. When all lines of communication with the Father and Spirit seem broken, when we are struggling to keep our head above water with our finances, family, relationships, ministry, work…. and the enemy is pouncing on us… what do we do? We must persevere, but how? The Bible is the Written Word of God. Jesus is the Living Word of God. The Holy Spirit is the Spoken Word of God. In times of great battle when our hearts and lives are overcome with a contrite spirit, let us lean upon God’s word to remind us what He has already said about this matter. In His written Word we find rest, the peace of Jesus.